Posted by M-F Reporting, Inc. Happy holidays from all of us at M-F Reporting, Inc! In the spirit of the holiday season, we wanted to share part of an interesting article we found on History.com about the history of Christmas trees. Long before the advent of Christianity, plants and trees that remained green all year had a special meaning for people in the winter. Just as people today decorate their homes during the festive season with pine, spruce, and fir trees, ancient peoples hung evergreen boughs over their doors and windows. In many countries it was believed that evergreens would keep away witches, ghosts, evil spirits, and illness. Did You Know? 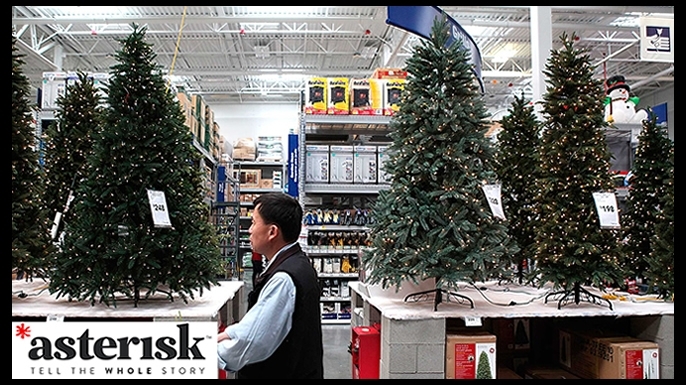 Christmas trees are grown in all 50 states including Hawaii and Alaska. In the Northern hemisphere, the shortest day and longest night of the year falls on December 21 or December 22 and is called the winter solstice. Many ancient people believed that the sun was a god and that winter came every year because the sun god had become sick and weak. They celebrated the solstice because it meant that at last the sun god would begin to get well. Evergreen boughs reminded them of all the green plants that would grow again when the sun god was strong and summer would return. The ancient Egyptians worshipped a god called Ra, who had the head of a hawk and wore the sun as a blazing disk in his crown. At the solstice, when Ra began to recover from the illness, the Egyptians filled their homes with green palm rushes which symbolized for them the triumph of life over death. Early Romans marked the solstice with a feast called the Saturnalia in honor of Saturn, the god of agriculture. The Romans knew that the solstice meant that soon farms and orchards would be green and fruitful. To mark the occasion, they decorated their homes and temples with evergreen boughs. In Northern Europe the mysterious Druids, the priests of the ancient Celts, also decorated their temples with evergreen boughs as a symbol of everlasting life. The fierce Vikings in Scandinavia thought that evergreens were the special plant of the sun god, Balder. Most 19th-century Americans found Christmas trees an oddity. The first record of one being on display was in the 1830s by the German settlers of Pennsylvania, although trees had been a tradition in many German homes much earlier. The Pennsylvania German settlements had community trees as early as 1747. But, as late as the 1840s Christmas trees were seen as pagan symbols and not accepted by most Americans. It is not surprising that, like many other festive Christmas customs, the tree was adopted so late in America. To the New England Puritans, Christmas was sacred. The pilgrims’ second governor, William Bradford, wrote that he tried hard to stamp out “pagan mockery” of the observance, penalizing any frivolity. The influential Oliver Cromwell preached against “the heathen traditions” of Christmas carols, decorated trees, and any joyful expression that desecrated “that sacred event.” In 1659, the General Court of Massachusetts enacted a law making any observance of December 25 (other than a church service) a penal offense; people were fined for hanging decorations. That stern solemnity continued until the 19th century, when the influx of German and Irish immigrants undermined the Puritan legacy. In 1846, the popular royals, Queen Victoria and her German Prince, Albert, were sketched in the Illustrated London News standing with their children around a Christmas tree. Unlike the previous royal family, Victoria was very popular with her subjects, and what was done at court immediately became fashionable—not only in Britain, but with fashion-conscious East Coast American Society. The Christmas tree had arrived. PreviousCourt Reporting Firms, Vendor or Partner? Court Reporting Firms, Vendor or Partner?